The lowest one year ago was around 82 USD. If you have bought the 10 Facebook shares one year ago for 820 USD now you will be able to make profit from 320 USD - that's great and is better from your money to be on a bank account. 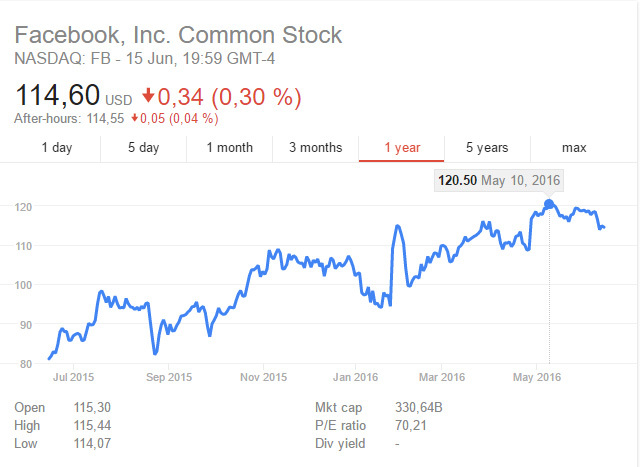 And how about the Facebook Stock in one year. Check here next year and you will discover.